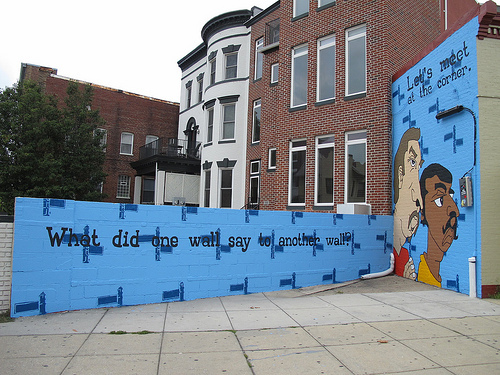 Last week a reader sent word of the mural in progress at 13th and Park Rd, NW. Here’s the finished product. 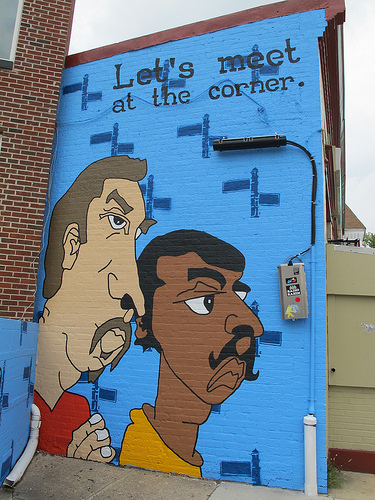 It’ll be interesting to see if this helps to deter taggers.